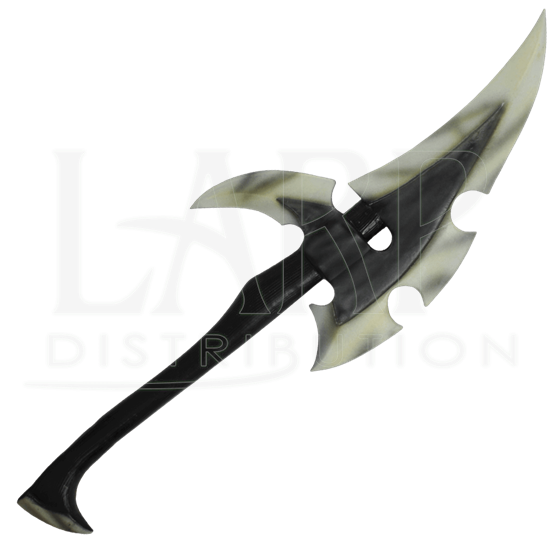 If you thought that axes were not an elvish weapon, then you were wrong. This Dark Elven War LARP Axe features the brutal style that dark elves are famous for, while being constructed from foam and latex, making it safe for LARP combat. Mounted on a blackened haft with simulated wood grain finish, the stylized axe-head looks like a large fang. The leading blade curves upward, two cutouts trail its outer edge. Its tapered point makes it effective in stabbing, hacking, cleaving, and cutting. The double-edge continues down the backside to meet a curved spike, perfect for the occasional backswing. Although this weapon bares an intimidating appearance, it is not as dangerous as it seems. It is constructed from an extremely durable foam that does not shred, which has been sealed within a strong coating of latex. 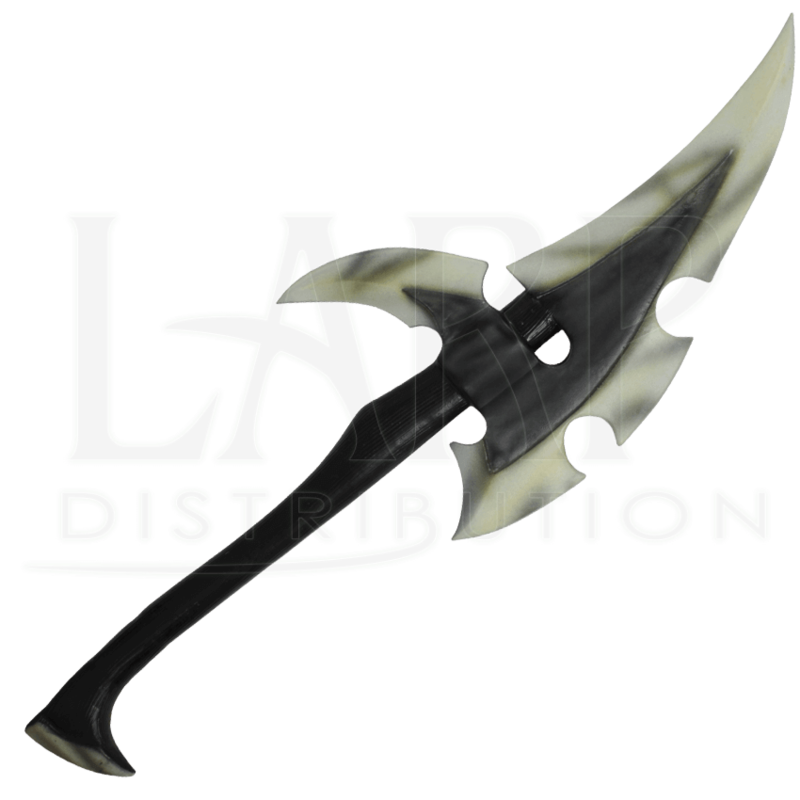 As safety is always a concern in LARP, this weapon also features a round fiberglass core that bends and flexes. The core also features a durable Kevlar cap for added protection, both against the core and for when the weapon is used to stab. The Dark Elven War LARP Axe has an overall length of approximately 32 inches. Please be aware that this measurement can vary slightly, as it is a hand-made item.